Command Sergeant Major Marvin L. Hill retired from the United States Army on January 31, 2013 after serving 35 years, culminating with a 19 month tour in Afghanistan as the Command Senior Enlisted Leader for International Security Assistance Force and United States Forces-Afghanistan. Prior to that, he served 21 months as the Command Senior Enlisted Leader of United States Central Command. CSM (Ret) Hill’s assignments included Fort Lewis, Washington; Fort Kobbe, Panama; Fort Knox, Kentucky; West Point, New York; Fort Bliss, Texas; Camp Hovey, Korea; Fort Gillem, Georgia; MacDill Air Force Base, Florida; and four tours with the 101st Airborne Division (Air Assault) at Fort Campbell, Kentucky. He also had contingency deployments twice to the Sinai, once to Kosovo, twice to Iraq, and once to Afghanistan. In addition to Afghanistan and Central Command, Hill’s command sergeant major positions include Joint Task Force-Katrina in response to Hurricanes Katrina and Rita, KFOR-3A (Kosovo), Multinational Force and Observers (Sinai), and Multinational Force-Iraq during “The Surge”. He holds a Bachelor of Science degree in Liberal Arts and Science from St. Thomas Aquinas College, and a Masters of Education in Organizational Leadership from Northcentral University. He is a member of the Sergeant Audie Murphy Club and has been awarded the Centurion level of the Order of St. Maurice, the Order of St. Barbara, and the Order of St. Michael. 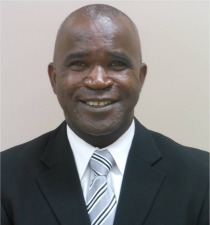 Hill currently resides in Memphis, and serves as a project management advisor for FedEx Freight. His areas of concentration are Learning and Development and Veteran Initiatives. He is also an active participant with the U.S. Chamber of Commerce Hiring Our Heroes and the Veteran Employment Advisory Council.